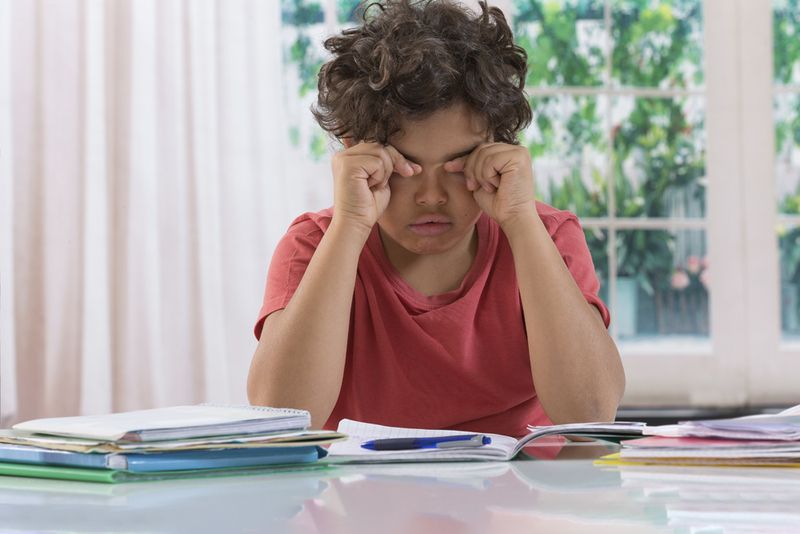 Accommodative insufficiency in children is a common visual disorder, and it describes a scenario where the eye is unable to focus or unable to maintain focus for near vision due to lack of proper muscle contracture. Accommodative excess involves an inability to focus due to a sustained or over-contracture of the ciliary muscle. It is also sometimes referred to as accommodative spasm. Visual disorders such as these are relatively common and maybe the reason that an otherwise-capable student is doing poorly at school. Accommodation is the process through which the human eye changes focus from near to far objects and the other way around. It is usually an unconscious process, but it can be performed consciousness when necessary. The muscles involved in the accommodation are called the ciliary muscles, and they are responsible for changing the shape of the lens in the eye to allow for focus at varying distances. If the muscle has trouble contracting properly, or cannot sustain that contracture, a patient may be diagnosed with accommodative insufficiency. If the muscle contracts too far, a patient may be given an accommodative excess diagnosis. The former condition is more common and often becomes apparent during the early elementary school years when children are expected to start performing more close-up work. It is important for patients to know that they can have 20/20 vision and still receive an accommodative excess diagnosis, or diagnosis of another accommodative disorder. Children who are struggling in school, especially during the early elementary years when reading demand increases, should see an optometrist even if they have been to a school screening and have 20/20 vision. The most common treatment for accommodative disorders is glasses or contact lenses. However, the combination of vision therapy and corrective lenses can be more effective and treat the underlying cause of accommodative disorders. Accommodative insufficiency exercises can help retrain the ciliary muscle so that it can contract and relax appropriately, which reduces or eliminates the symptoms of an accommodative disorder. Accommodative excess is treated through vision therapy that helps the ciliary muscles learn to relax when necessary. Here at Epic Vision Development, we can diagnose, treat, and manage accommodative disorders including accommodative insufficiency in children or adults, accommodative excess, and accommodative spasm. Corrective lenses combined with therapy such as accommodative insufficiency exercises can improve the situation immediately and assist with long-term treatment of the underlying issue. Call us today at (775) 318-8118 to make an appointment.